Why do you need to learn about Adobe Lightroom basics? 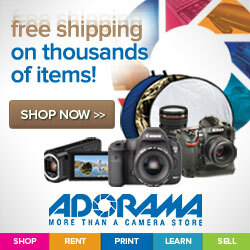 What does Adobe Lightroom provide photographers? Simply put, the Adobe Lightroom software gives you the chance to do three things. One, you get to sort your photos. It might not be a big deal for photographers who are just starting out. However, when you start to have hundreds and thousands of photos, you would need to sort them to help you find specific photos faster. One tip is that the Adobe Lightroom Classic is different from the Adobe Lightroom CC. The Classic is the one most people have been used to but the CC version allows files to be stored in the cloud giving photographers access using different devices. Adobe Lightroom also gives you the chance to post-process your photos which is what most people associate the software with. It gives photographers and users the ability to make changes and edit the photos to suit their style. This is one of the features that gets the most flack from traditional photographers and we will discuss that later. The last thing that the Lightroom does is it exports your photos to a specific location. This gives you the chance to organize your photos after you have applied the necessary edits. Suffice to say, learning Adobe Lightroom basics gives you the opportunity to handle what most consider to be a behemoth of photography software. This is the first thing you need to learn when it comes to Adobe Lightroom basics. The first time you open up Adobe Lightroom, you will see three main panels. The panel on the left shows you where files on your computer are located. If you have an external hard drive or even an SD card connected, those would conveniently be displayed on that panel. One thing you need to remember is that photos on your device will not automatically show up in Lightroom. You need to import them the first time so it shows up in the program. Lightroom gives you the flexibility to import specific photos only or entire folders of them all at once. Once you do, the photos would show up in the middle panel. One of the Adobe Lightroom basics you need to familiarize yourself with is the way you can organize your photos. You can sort and organize them based on your preference in case you want to go back to it again in the future. There are a number of ways to do this either by rating the photos by start, flagging them, or making an entirely new collection of photos. This is one that helps you go back to specific photos even after you are done editing them. This is the feature that has a lot of people and photographers talking. After you have imported the photos you want to edit, this is the next feature you need to spend time on. After clicking the “Develop” option on the upper part of your screen, you will notice that all three main panels would have different options. The first panel is where the presets are. This is again one of the more exciting features of the program. Learning Adobe Lightroom basics would make you understand how to use these presets. Initially, you would have basic presets with the program. These presets automatically apply a predetermined selection of edits to your photos. The great thing about this is that you can buy, create, make, and even delete presets as you go along. This makes the editing workflow a lot faster. You will now see a photo strip at the bottom of your page while the main photo you will be editing is in the middle panel. At the right side of the program, you will see the panel where you can make adjustments on the photo you have in the middle of your screen. It offers you basic adjustments which cover adjusting the light in the photo with the exposure button. You can go to as many stops of light as you want. The same with temperature slider to help you control the white balance and other basic adjustments. As you go further down the slide, more options are present to help you edit photos. One of the best things about Adobe Lightroom is that it uses a non-destructive editing approach. What this means is that you will only see the edits you make either in the program or once you export the file. When you go back to the original photo, you will notice that it is untouched. This is the beauty of the program. It will leave your original photo untouched, leave the edits in the program, and export a totally separate file. The last part of the process is exporting your work. As mentioned earlier, your original photos are untouched unless you export the file. Even at that point, you get a totally separate file leaving the original as it was the first time you shot it out of the camera. Exporting your files is as easy as importing them into the program. You get to choose where you want to export to if you want to rename the files and even the size of the final edit. These Adobe Lightroom basics are just the tip of the iceberg when you want to study and use the program to bring your photos to the next level. One thing to keep in mind is that images created in JPEG format are processed in camera. RAW files, however, have no processing done in camera. If you are shooting in RAW, which is recommended for post-process, your photos will be flat straight out of the camera (SOOC). RAW images need post-processing to make them an accurate representation of what your eye saw when shooting. Of course, as a photographer, it is best to always get the shot straight SOOC. 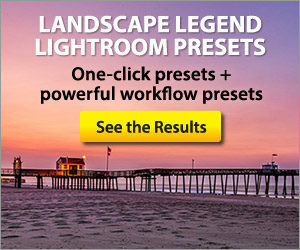 If the composition or the lighting is bad, there is only so much Lightroom can do. The program is a tool to help enhance your photo and make it pop. This article is focused on Lightroom Classic CC. Adobe offers another version of lIghtroom with the Lightroom CC version which is covered in another article.